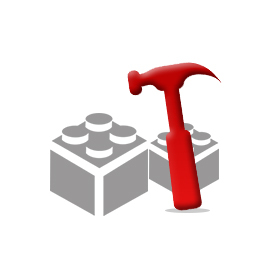 “I looked through many pages of your blog and found nothing yet that deals with my frost heave problem. Bought lake property 8 years ago that had a 24 X 24 pole shed that was 5 years old. It has concrete floor with concrete on 3 sides of each 6 X 6 except pole by walk-in door which has concrete on all 4 sides. Poles every 8 feet except front (west) side which has 16′ garage door and walk-in door. All poles are moving up except maybe corner pole in SE corner. They vary in movement from 1-5 inches. I dug down in one corner to see how deep the poles are in the ground and it was 56 down to what feels like a concrete pad at the bottom of the hole. The building is located is central Minnesota in a lakes region with sandy subsoil. I am considering attaching 2 X 12s to the inside of the poles at the level they were initially at the top of the floor. Then cutting off the poles to lower the building and attaching some heavy angle iron to the 2 X 12s and the floor. Another consideration is to try to jack up each pole so they are all level again and attach the angle irons to the poles and the floor and then deal with the doors. The floor has not sunk (the electric service cable coming in pulled down on the breaker box and broke the main breaker) but the floor is in good condition. Two of the poles would not be able to be dug down to the bottom as the septic tank is too close. 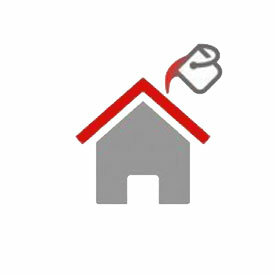 In your property purchase you have inherited someone else’s lack of planning which has become your problem. The great majority of frost heave potential can initially be solved by proper site preparation – and your building is fairly obviously not on a properly prepared site. Cutting off the poles and lowering the building is probably not going to be a fix and is going to add even more problems. You will now no longer have proper transfer of downward loads to the footing pads and to prevent settling would require any brackets to be able to spread the loads out over a large surface of your concrete slab – with the strong potential for your slab to be cracked by them. Provided you were able to adequately distribute the loads, you also have the issues of uplift and overturning to overcome and your probably four inch thick concrete floor is possibly not adequate to withstand any of these forces. In all likelihood the answer probably lies in getting the water out from under your building – which may involve some sort of trenching around the perimeter. Your septic system being so close to your building is probably adding to the problem (this is part of why Planning and Building Departments require buildings to be set back from septic systems). Obviously you are asking for some expert advice, which could save your building. Due to the factors involved in your particular site – I am going to recommend you hire a registered professional engineer who specializes in soils to come to your site and do a thorough analysis of the situation. He or she should be able to design a fix for your challenge – however (just a warning) the solution could be more expensive than the building is worth. Sadly, it could be the best solution may be to properly prepare an adjacent site, take the building apart and reassemble it on the better location. 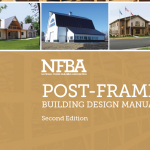 This entry was posted in Pole Barn Questions, Pole Barn Design, Pole Building How To Guides, Pole Barn Structure, Concrete, Columns, Pole Barn holes and tagged site preparation, pole building uplift, Registered Professional Engineer, ground preparation, pole building overturning on September 14, 2017 by admin. DEAR MATT: Most certainly an excellent idea to raise up the site of your new pole building – the last thing you want to do is have it sit in a hole! By inputting your “key word” in the search field on the blog page– you can read other articles on related subjects. 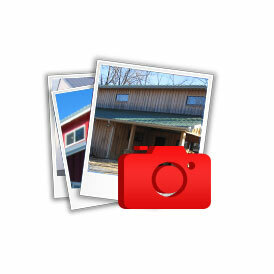 I think you will find lots of useful information in past blogs. 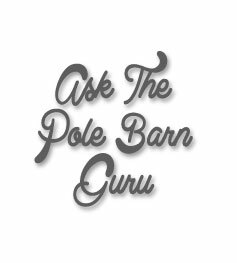 DEAR POLE BARN GURU: Hi. I’m building a 12 by 20 pole barn (gambrel roof). So far I just finished the trusses and I’m going to be setting the poles in few days. I’m following the instructions from a book building a shed from Joseph Truini. And I got extra plans from perfect barns company from same book. In the book they set the post or pole in one bag of concrete for each post for footing then they set the post and build the walls and after framing the wall they set the post. Is this crazy to put walls before setting posts? After they frame the walls the only add 1/2 bag of concrete to each post, is this enough? I live in Edmonton, Canada where the winters are weeks of 20 (C) below so I need to make sure the structure is strong enough to last this extreme weather. The frost line around here is more than 4 feet, I’m planning in digging as deep as I can get – maybe 8 or 10 feet. Do you think this is enough? DEAR MARITZABEL: Based upon the information I have been able to find on the internet it sounds like the eight to 10 foot frost depth is probably correct. I do really question a footing made from only one bag of premix – footings should be six to eight inches thick at a minimum and even on a small building, probably at least 18 inches in diameter. Adding another ½ bag of concrete later, after walls are up, sounds like a waste of a ½ bag of premix. I’d stand the columns in the holes, float them eight inches off the bottom of the hole and pour at least 18 inches of concrete in the bottom. Without looking at the plans you are working from, I have no idea of how one could possibly frame walls before setting posts. This entry was posted in Pole Barn Questions, Concrete, Columns and tagged site preparation, setting pole building posts, setting pole barn posts, floating poles on June 1, 2015 by admin. This is day two in several where I am discussing all kinds of issues with site preparation, mostly what to do with the…dirt. So what actually is soil? Soil is formed in place or deposited by various forces of nature – such as glaciers, wind, lakes and rivers – residually or organically. The important elements in soil compaction are soil type, soil moisture content and compaction effort required. There are five principle reasons to compact soil: to increase load-bearing capacity, prevent soil settlement and frost damage, provide stability, reduce water seepage, swelling and contraction and reduce settling of soil. 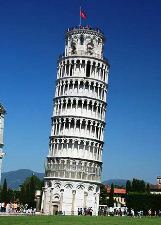 The Leaning Tower of Pisa would have benefited from a soils engineer and a soil compaction test. The tower was in trouble before it was even finished. According to www.buzzle.com after the tower reached its third floor construction in 1178, they had to stop the work as the structure started to sink in the ground. This was due to weak and unstable soil where the foundation was being constructed. The work was halted for almost 90 years after that. The halt in the construction gave time for the soil to settle; otherwise the tower would’ve definitely collapsed. As there was a tilt in the building, the engineers had to build the next 4 floors, with one side taller than the other. Thus it manipulated the tower to lean in the opposite direction. Soil can be compacted by vibration, impact, kneading or pressure. These different compaction efforts can be accomplished by the main types of compaction force, static or vibratory. Static force is simply the deadweight of the machine, applying downward force on the soil surface, compressing the soil particles. The only way to change the effective compaction force is by adding or subtracting the weight of the machine. Static compaction is confined to upper soil layers and is limited to any appreciable depth. Kneading and pressure are two examples of static compaction. Vibratory force uses a mechanism, usually engine-driven, to create a downward force in addition to the machine’s static weight. The vibrating mechanism is usually a rotating eccentric weight or piston/spring combination (in rammers). The compactors deliver a rapid sequence of blows (impacts) to the surface, thereby affecting the top layers as well as deeper layers. Vibration moves through the material, setting particles in motion and moving them closer together for the highest density possible. Based on the materials being compacted, a certain amount of force must be used to overcome the cohesive nature of particular particles. Poor, improper or no compaction can result in concrete slab cracks or frost heaves, foundation erosion and/or building settling. Proper compaction can ensure a longer structural life. Every soil type behaves differently with respect to maximum density and optimum moisture. Therefore, each soil type has its own unique requirements and controls both in the field and for testing purposes. Soil types are commonly classified by grain size, determined by passing the soil through a series of sieves to screen or separate the different grain sizes. Soils found in nature are almost always a combination of soil types. A well-graded soil consists of a wide range of particle sizes with the smaller particles filling voids between larger particles. The result is a dense structure which lends itself well to compaction. A soil’s makeup determines the best compaction method to use. There are three basic soil groups: cohesive, granular and organic. Organic soils are not suitable for compaction. Cohesive soils, such as clays or silts have the smallest particles. Cohesive soils are dense and tightly bound together by molecular attraction. They are plastic when wet and can be molded, but become very hard when dry. Cohesive soils feel smooth and greasy when rubbed between fingers. Clay soils are less than ideal to construct your new pole building upon and should be removed and replaced. 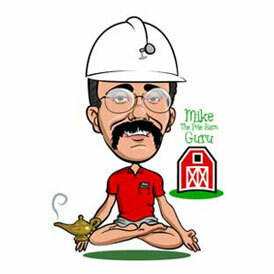 Granular soils range in particle size from .003″ to .08″ (sand) and .08″ to 1.0″ (fine to medium gravel). Granular soils are known for their water-draining properties. Sand and gravel obtain maximum density in either a fully dry or saturated state. Granular soils feel gritty when rubbed between fingers. When water and granular soils are shaken in the palm of your hand, they will mix, when shaking stops, they will separate. When dry, a soil sample will crumble. Gravel and sand can be compacted either by vibration (using a vibrating plate compactor, vibrating roller or vibrating sheepsfoot) or kneading with pressure (using a scraper, rubber tired roller, loader or grid roller). Both are good to excellent in terms of foundation support and as a subgrade. They are easy to compact and are not expansive (expansive soils tend to be prone to frost heave issues). This entry was posted in Building Department, Pole Barn Planning and tagged soil compaction, site preparation, soil settlement on November 25, 2011 by admin.